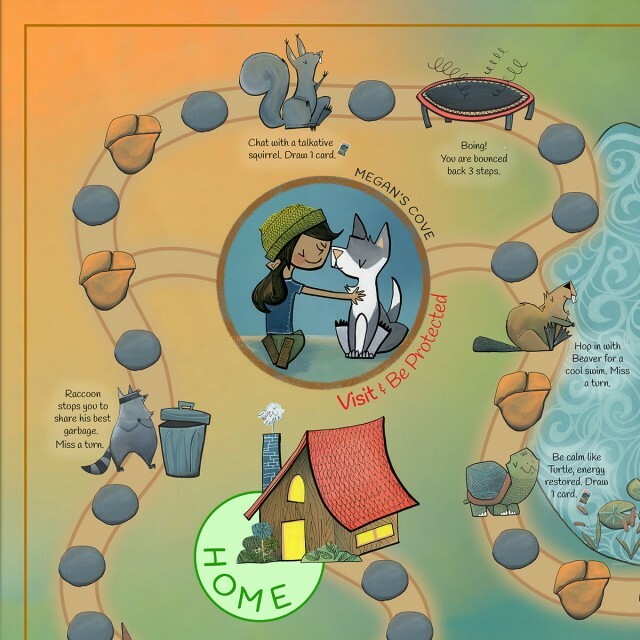 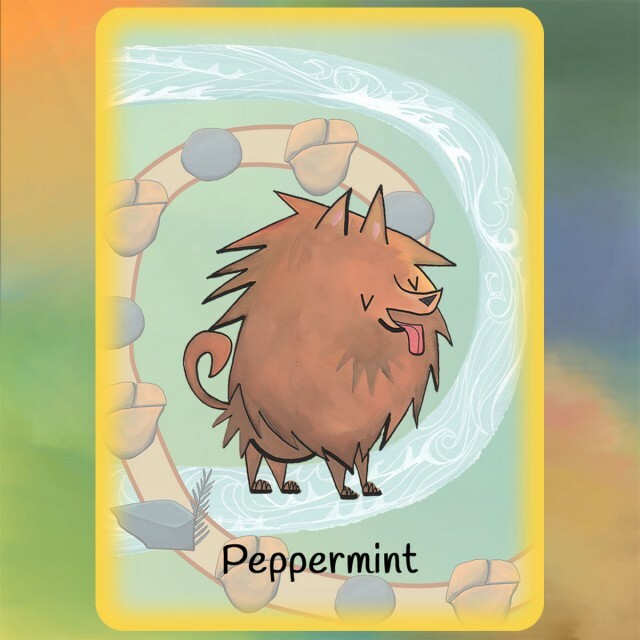 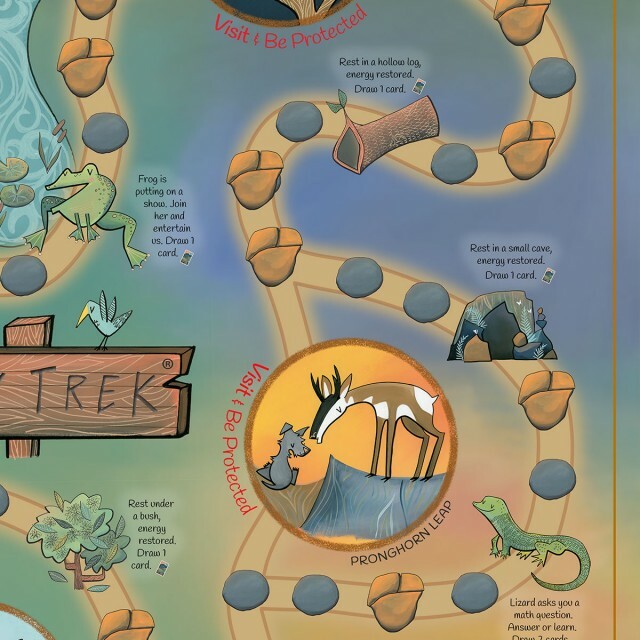 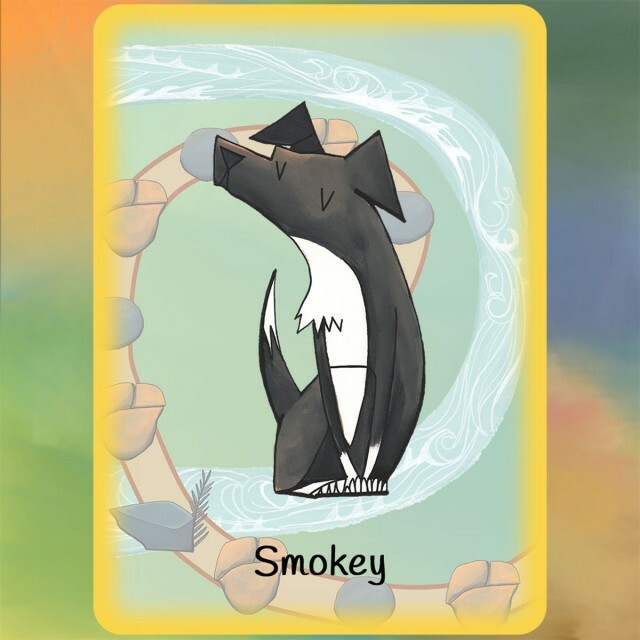 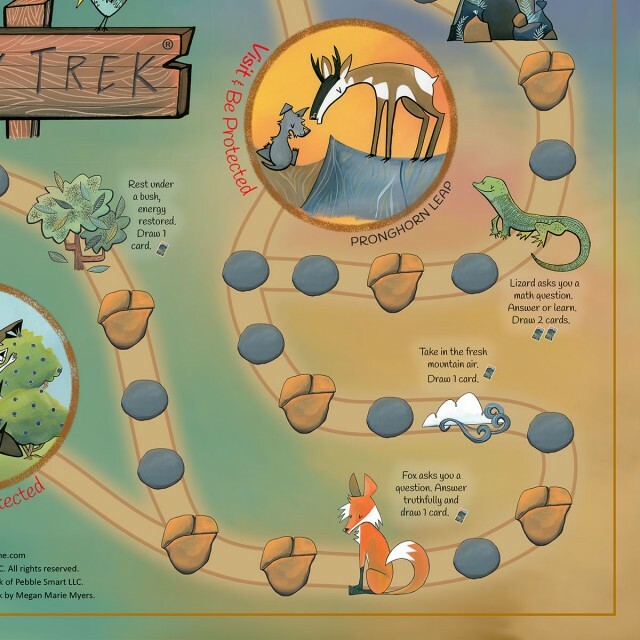 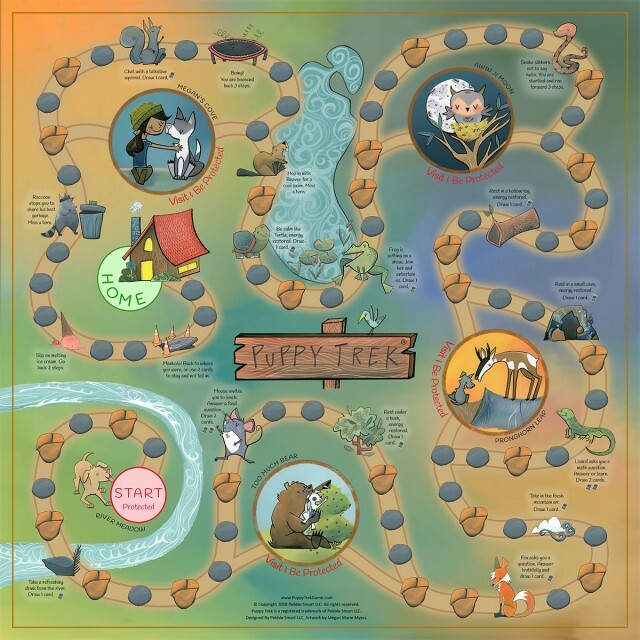 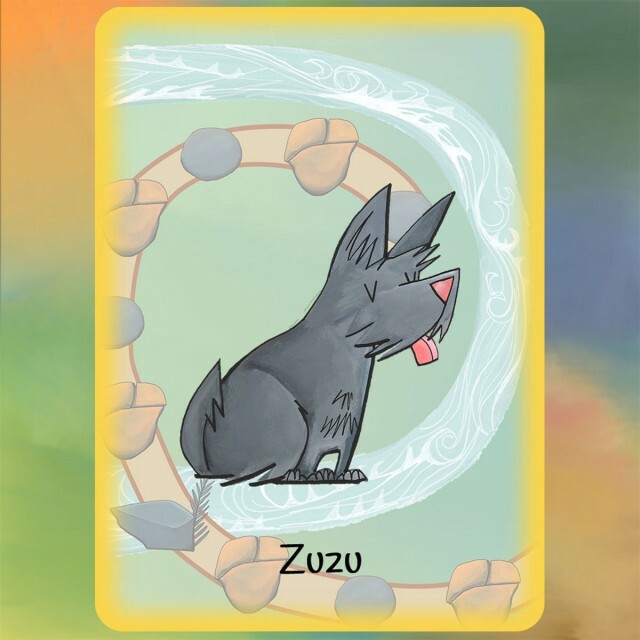 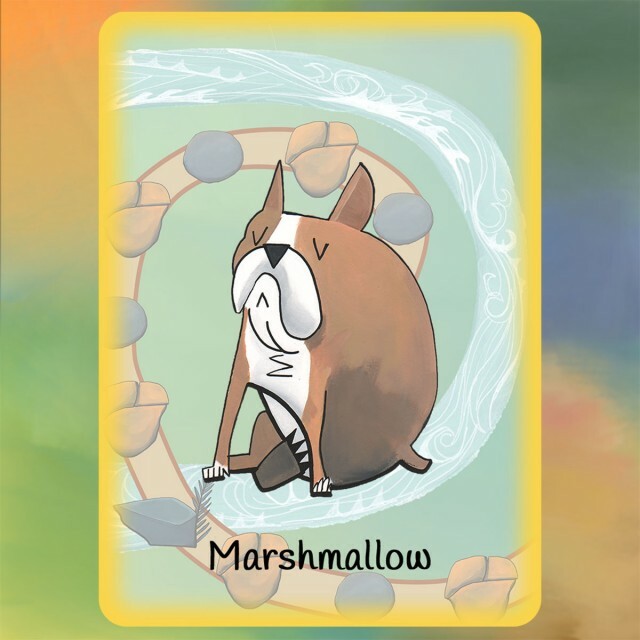 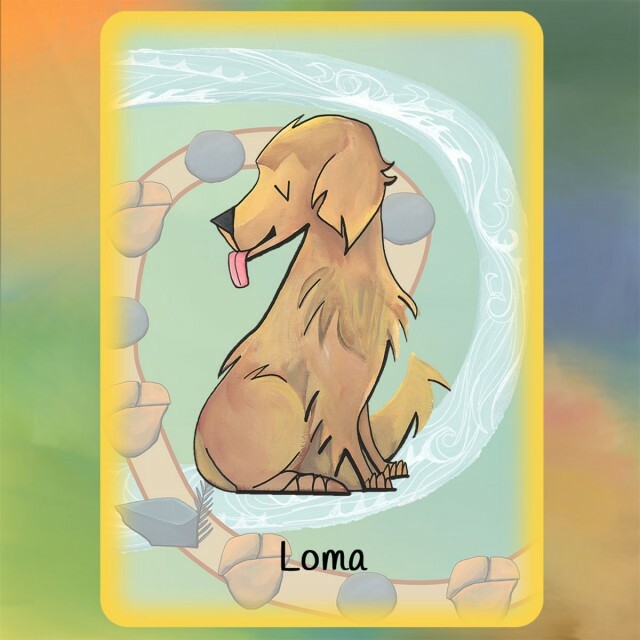 The Puppy Trek Game – A board game for children age 5 and up. 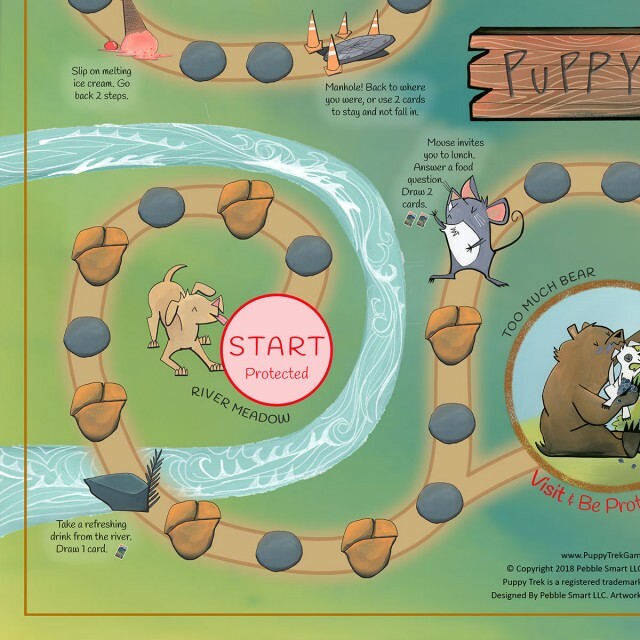 Go, Puppy, Go! 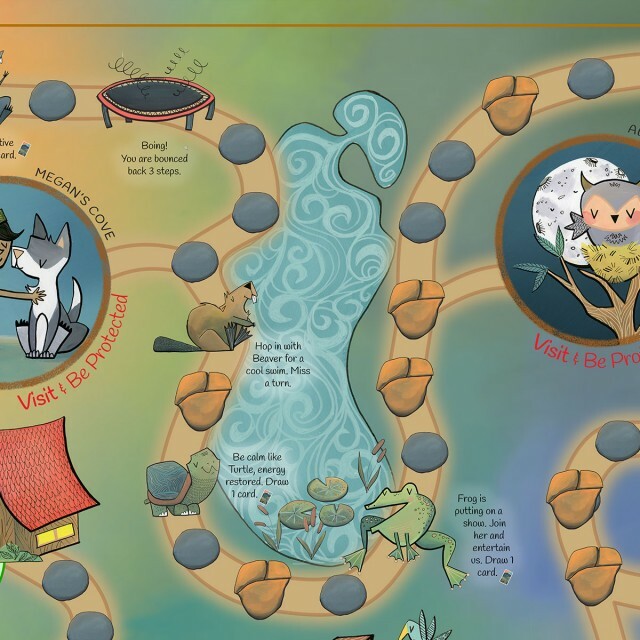 Wild Things Await. 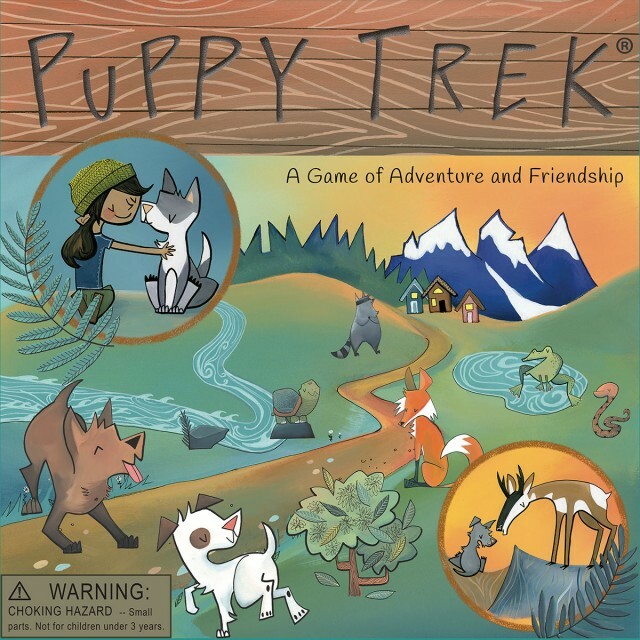 Puppy Trek is an adventure travel game with simple strategies. 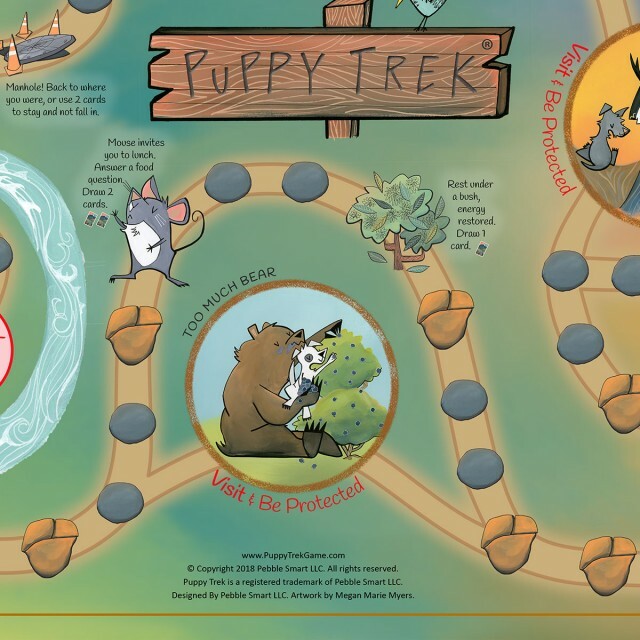 Puppies race down a winding path through wilderness to get home. 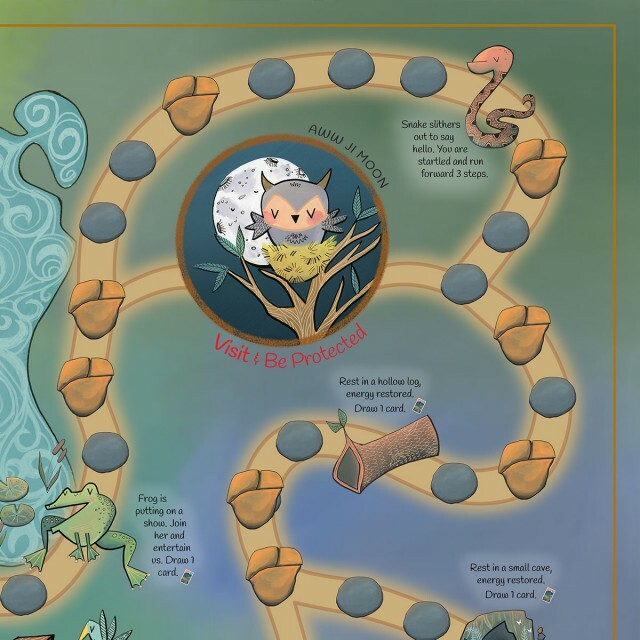 The beautiful illustrations by artist Megan Myers of the Pacific Northwest express that intimate connection we feel when we have a true encounter in nature. 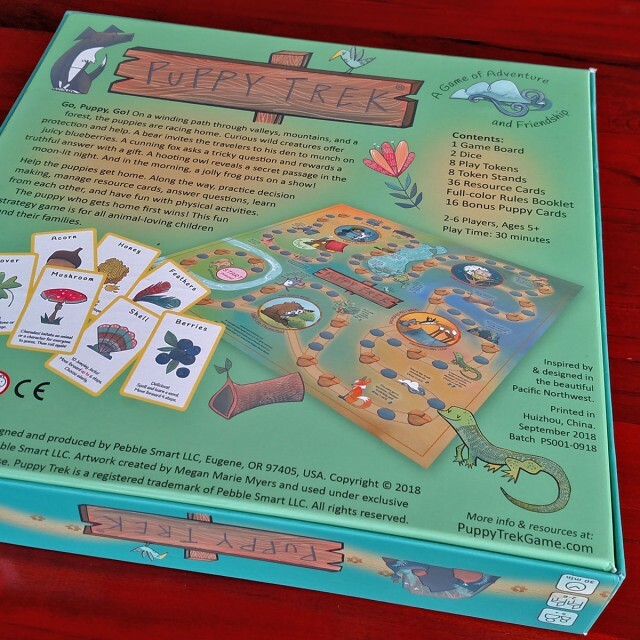 The game is created for children between ages of 5 and 12. It can be played by 2 to 6 players. 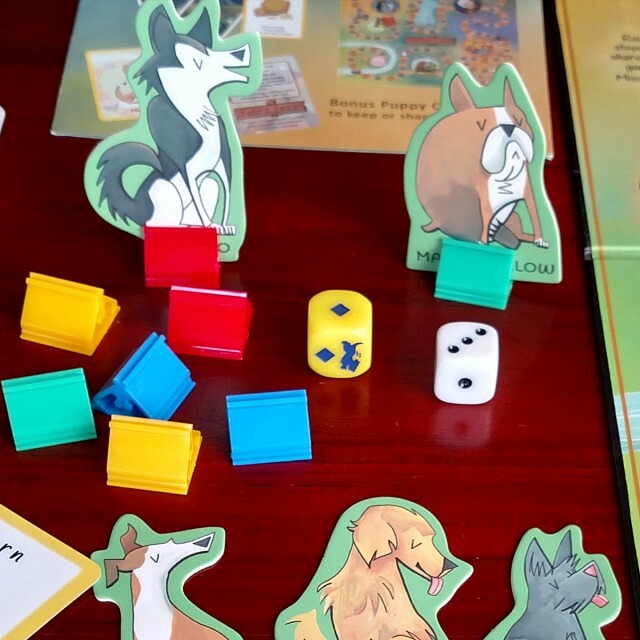 Each game takes around 30 minutes. 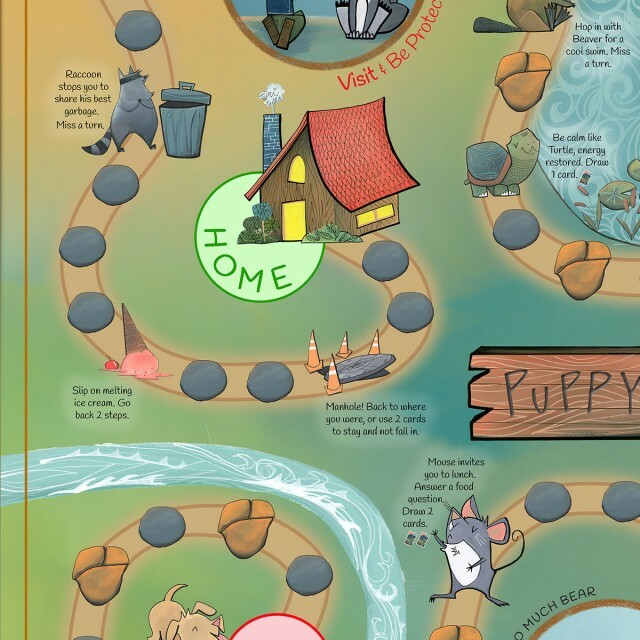 With a full-color illustrated booklet, rules are simple to follow and remember. 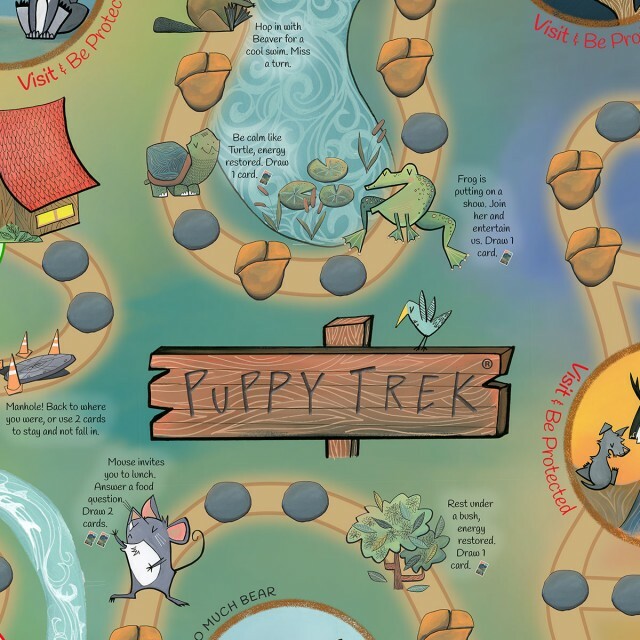 More than 100 elementary school students test-played Puppy Trek. 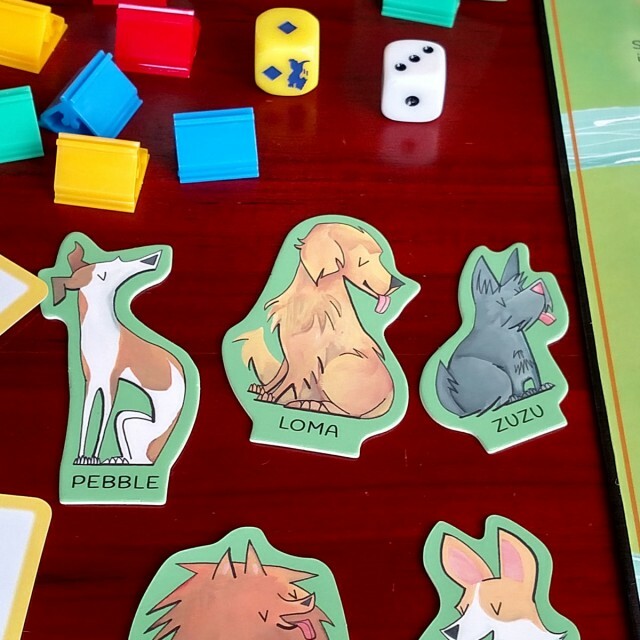 They loved it. 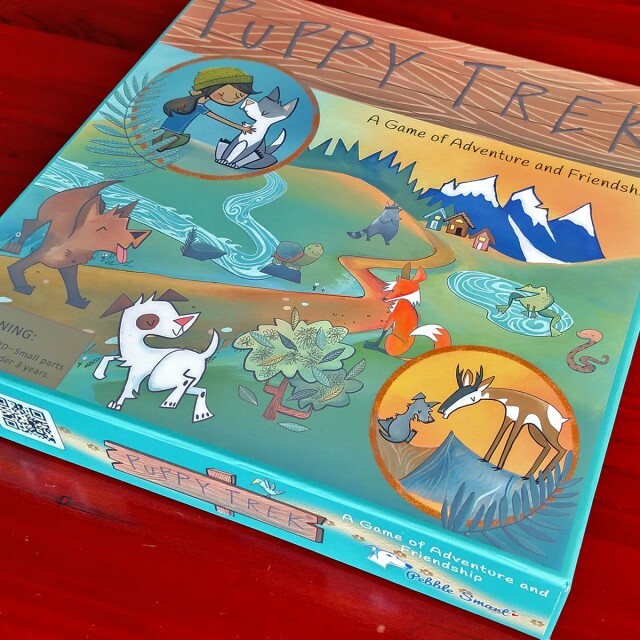 Along the journey, puppies encounter and interact with wild creatures. 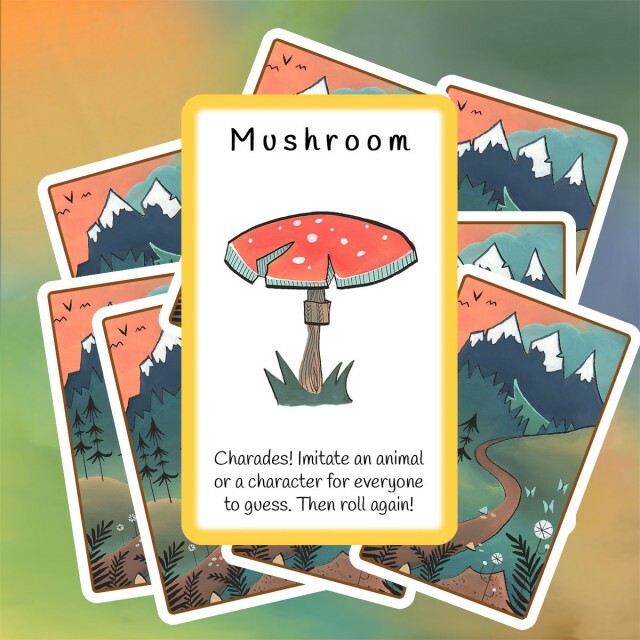 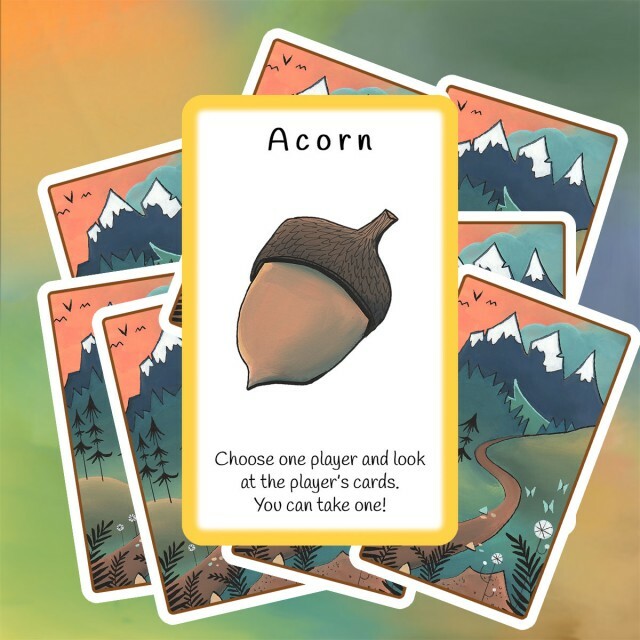 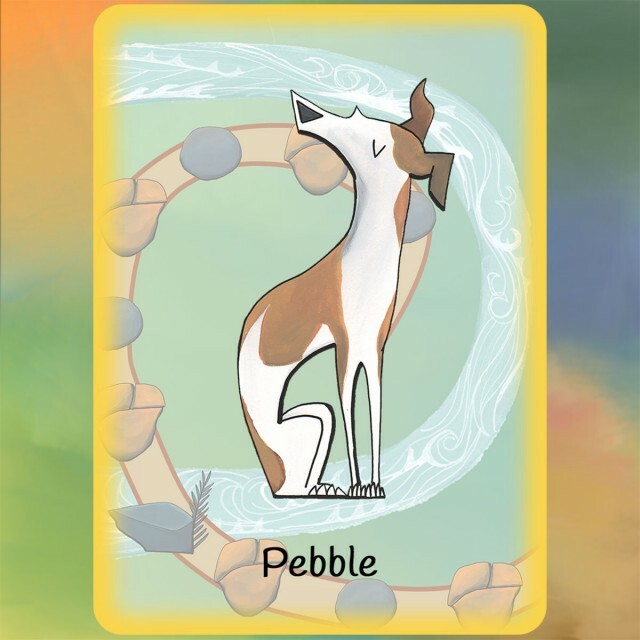 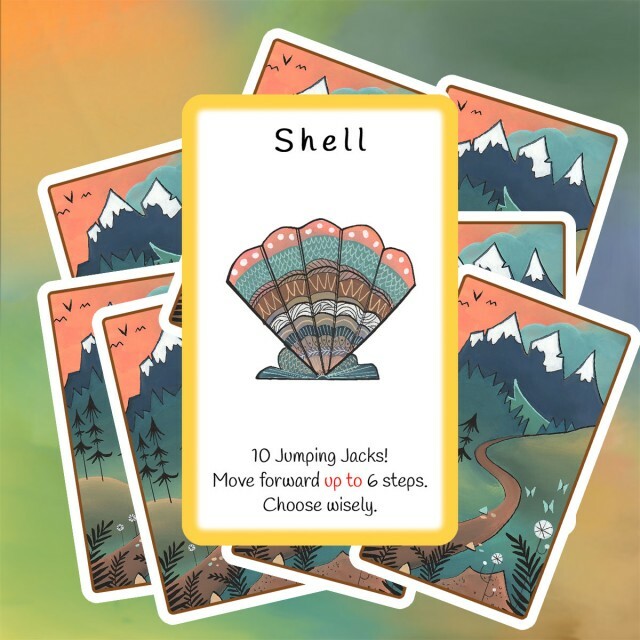 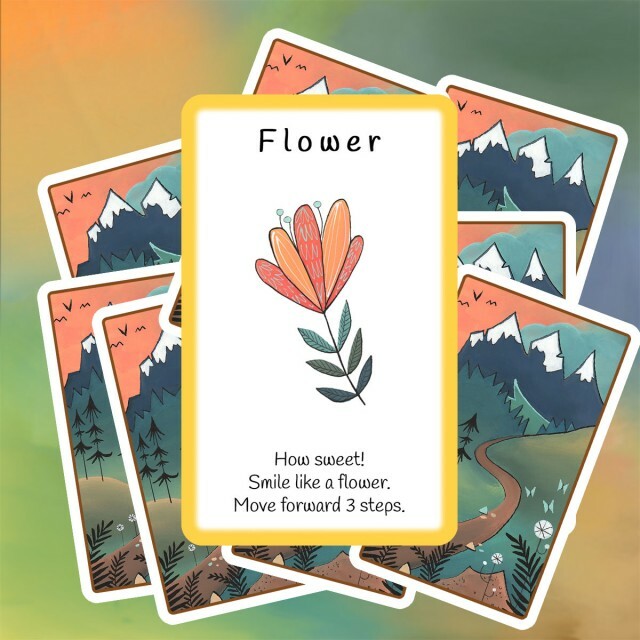 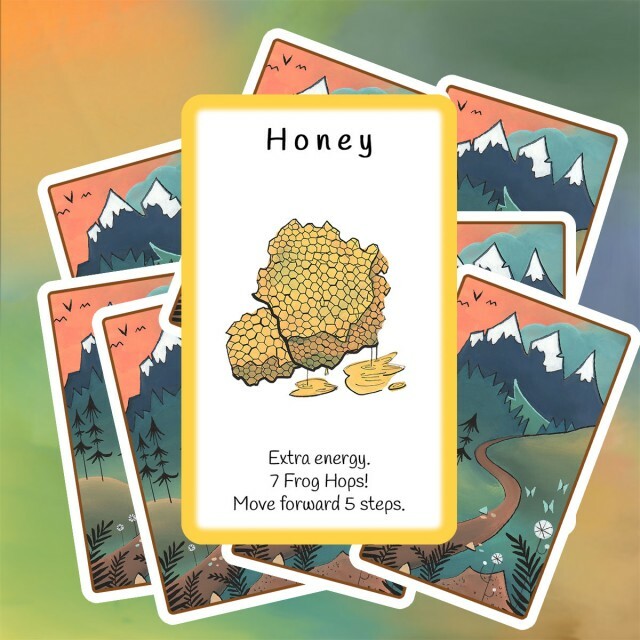 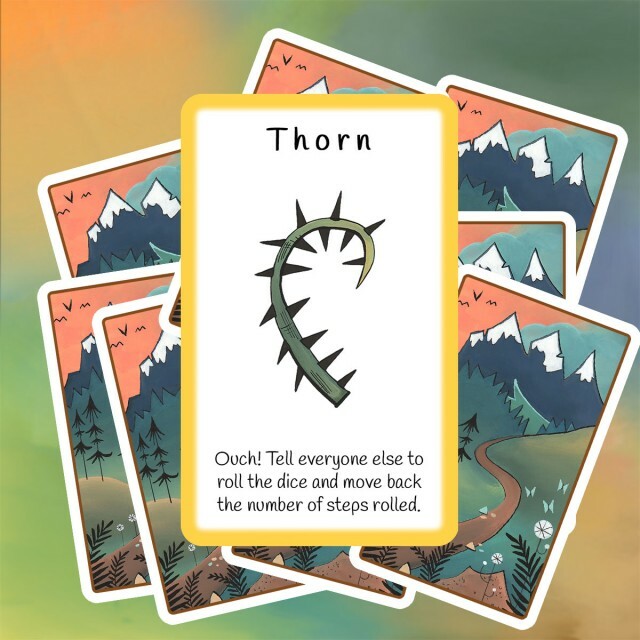 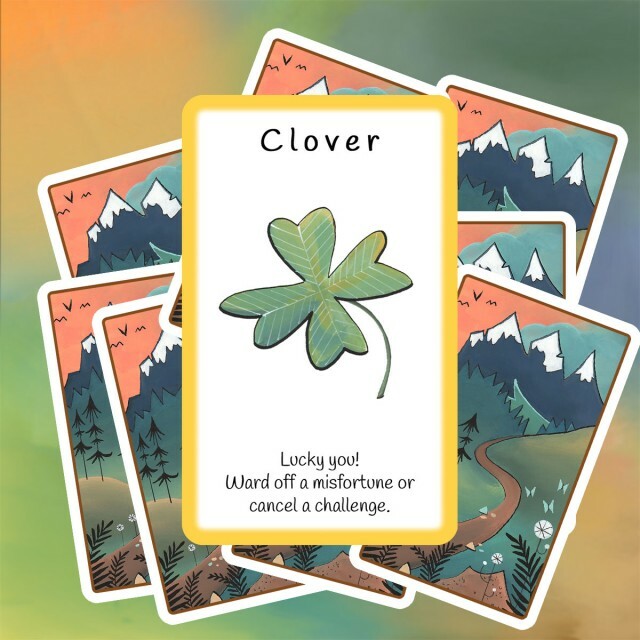 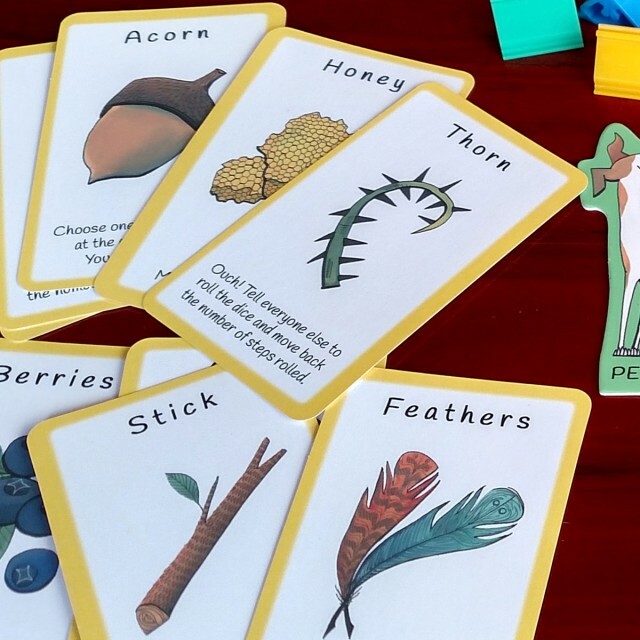 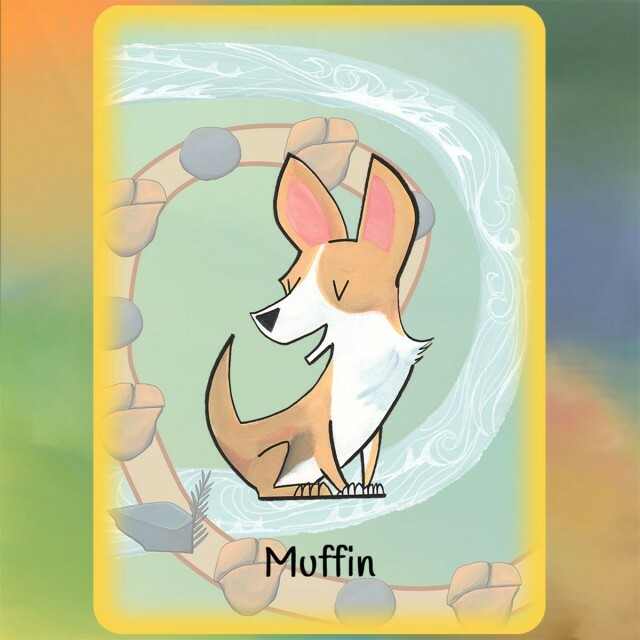 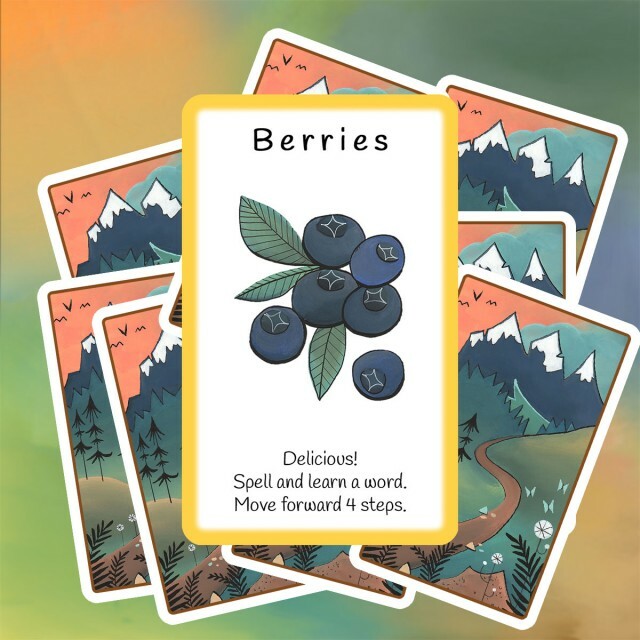 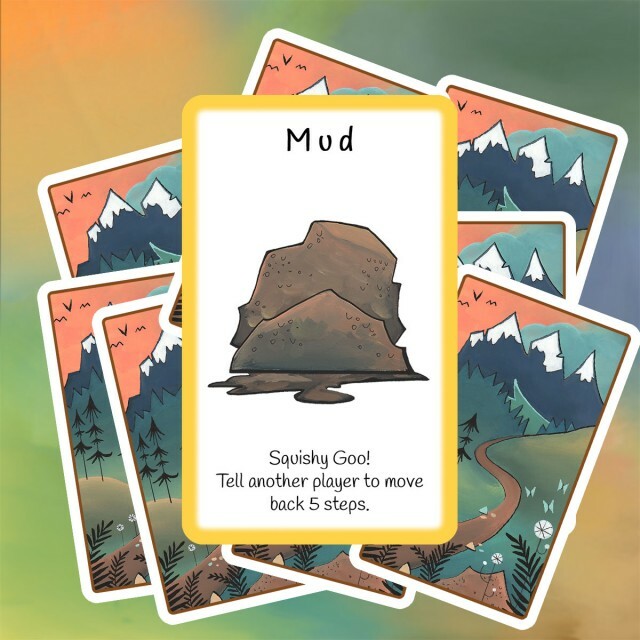 Players learn to manage their resource cards, make choices, read and count, participate in fun physical and mental activities such as jumping jacks, question and answer, and rock-paper-scissors. 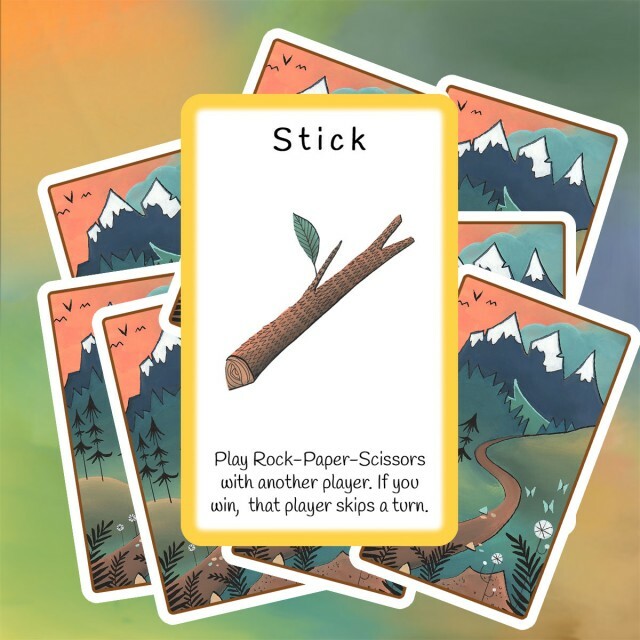 Most importantly, through game playing, they get to know each other and build friendships.